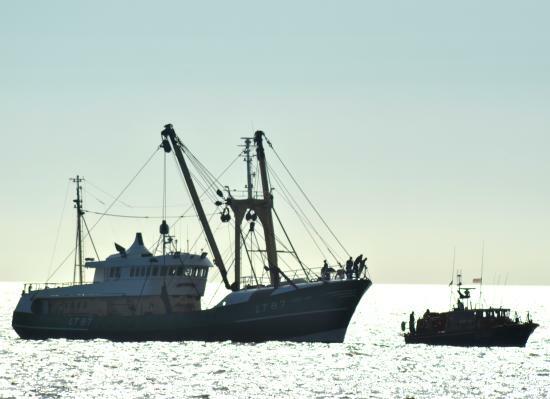 The 36 meter long, 312 ton fishing vessel Gert Jan went aground on the Newcombe Sands near Lowestoft, England. The Lowestoft RNLI responded to the scene and found the tide pushing the Gert Jan further onto the sandbank. The crew quickly attached a towline and with the help of the fishing vessel’s engines, managed to pull free the vessel. Both vessels proceeded to Lowestoft. No reports of injures, damage or pollution. The Gert Jan was en route to Lowestoft from Den Helder before going aground. The 81 foot long fishing vessel Savannah Ray went aground in the Bainbridge Passage in Prince William Sound, Alaska. The fishing vessel suffered minimal damage to its bow. The crew contacted the Coast Guard that the vessel aground with 8000 gallons of diesel fuel along with 150,000 pounds of fish on board. The Savannah Ray was refloated on the next high tide. No reports of injuries or pollution released. The Coast Guard monitored the vessel until it arrived in Seward, Alaska.